SILICON VILLAGE: Urjit Patel Asks Where Would Apple, IBM Be If Not for Talent from Across Globe? Urjit Patel Asks Where Would Apple, IBM Be If Not for Talent from Across Globe? Cautioning against protectionism, RBI Governor Urjit Patel has said where would giant American corporations like Apple, Cisco and IBM be if they had not sourced the best products and talent from across the world. "I don't think that we have heard the last word on US policy talk about this because there is a push back internationally that the world has benefited from an open trading system," the Reserve Bank of India (RBI) governor said after delivering a lecture here. He made the remarks in response to a question on the rise of protectionist tendencies in major world economies after he delivered the Third Kotak Family Distinguished Lecture, sponsored by the Raj Center on Indian Economic Policies at the Columbia University's School of International and Public Affairs. He said the share prices of the most efficient corporations in the world, including in the US, are where they are because of the global supply chains. "Where would Apple be, where would Cisco be, where would IBM be if they were not sourcing the best products and talent from across the world. And if policies come in the way of that, then the big wealth creators in a country that advocates protectionism are ultimately affected," he said yesterday. Patel said the calls for protectionism in the US were on account of equity and domestic distribution issues which "textbook economics tells us should be addressed through domestic fiscal policy" such as taxation and income transfers. He noted that using trade instruments for protectionism may take a nation on a trajectory different from that of growth. "Using trade instruments like customs duties, border tax etc is not the most efficient way to do this. In fact you could end up at somewhere else. You do not know what are the implications of some of these policies on equity and distribution besides objectives that you want to address," he said. "It should be a domestic policy issue, using domestic fiscal policy if those are the objectives that need to be addressed," Patel said. 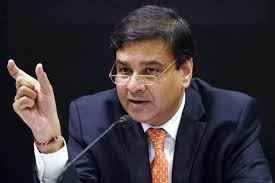 Talking about the Indian Rupee, the RBI governor said it was totally market determined and the intervention by the central bank was only to mitigate volatility. "I think that is a fair policy for us to follow going forward," he said. Asked about the autonomy of the RBI, he said, "We have been imbued with a legislative responsibility of flexible inflation targeting framework only means that that is a plus for the autonomy and independence of the central bank." On financial inclusion, he said the most important step that was taken was when every Indian household was given a bank account. He said it was now up to a variety of players including the Non Banking Financial Companies to use that opportunity. "I think the government should not use its fiscal resources for that. It has used its ownership of the public sector banks to open up these accounts and I think that's a large subsidy," he said. Asked if the federal compromise reached to implement the GST would structurally weaken the tax reform and not reach the potential growth opportunities projected, Patel said the manner in which the GST has been structured as cooperation between the central and the state government was a "great example of fiscal federalism" and that strengthens the GST as a policy. Patel was also questioned about the troubles and difficulties faced by non-resident Indians in exchanging the old currency notes following demonetisation. He said it was decided by the government and the RBI that at some point "there has to be an end to the demonetisation exercise." "Every country that has done this has followed a certain course and so have we," he said. Patel said under Foreign Exchange Management Act regulations people were only allowed to take Rs 25,000 abroad and people were given enough time post-demonetisation. "We needed to draw a line at some point. I think it has been a fairly generous time," he said. On loan waivers, he said such measures do impact the credit culture. "The honest borrower and the taxpayer pays for this, we need to be very careful with this. There are other micro implications if this amount becomes large, they impact the fiscal situations of the state governments and ultimately could lead to some national balance sheet implications," Patel said. He also said that China's exchange rate policy has become more market determined.